Ocean Tempest, fresh from a spell in Dubai, ran out a shock 20-1 winner of the turf Flat season's first big race, the William Hill Lincoln at Doncaster. 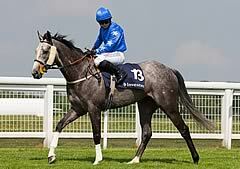 The five-year-old grey, trained by John Ryan in Newmarket, won on his last three starts in the UK at the back-end of last season but has had six runs at Meydan this year without making much impact. Ridden by Adam Kirby, he held off the persistent challenge of the well-fancied joint-favourite Tullius to score by a length and three-quarters, with Robert The Painter third and Sweet Lightning fourth. Ryan said: "We ran him in the consolation race last year, but he wasn't ready. This was always his aim. He paid his way in Dubai but we thought he was a bit high in the weights for this, but we knew this ground was his thing. I couldn't believe how good it was when I walked it. "My father (former trainer Mick) landed plenty of touches in big races, but he said we'd done it the wrong way round by laying one out for a race by getting it to the top of the handicap. "It's been a dream to win a big race like this. We're a small stable, we have 20 horses in training, we always average more than that in winners. We backed him. I was confident because I thought he was relatively fresh, which might sound stupid. 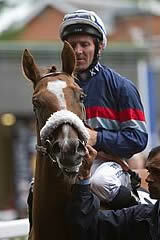 "His lead horse (Tenor) won at 20-1 at Lingfield on Friday, which gave us even more confidence." Kirby added: "He's a perfect little horse for the job and he loved the ground. When I asked him, he dug deep. I'm chuffed to bits with him. He's a decent horse on his day." A race called the Lincolnshire Handicap was first run over two miles at Lincoln in August, 1849. In 1853, a new fixture was staged at Lincoln in February and featured a race called the Lincoln Spring Handicap,run over a mile and a half and won by Caurire. The distance of this contest was reduced to a mile in 1855 and moved to a date in March. In 1859, the two races merged to become the Lincolnshire Handicap, run over a mile in March. The Lincolnshire Handicap was run at Lincoln up to and including 1964. Following that course's closure, the race moved to Doncaster in 1965 and was renamed the Lincoln Handicap.